I started this blog in February 2012 as a way to document my writing journey. Since then, I've blogged about all the amazing writers I've met (online and in person), the retreats and conferences I've attended, the stories I've written, and the day I signed with my wonderful agent, Mary Keeley, from Books & Such Literary Agency. I've shared personal struggles and victories, and I've talked about how this pursuit has affected my faith, my family, and my friendships. I've celebrated over being a semi-finalist, and finalist, in writing contests, and I've talked about receiving rejections when the answer has been no. Now that I've been on this journey for a couple of years, I often have people ask if my books are published. I get a lot of questions about the process, and the time it takes to get published by a traditional publisher. I thought it would be fun to share where I'm currently at on this writing journey. Very few people get their first, or second, manuscript published. I don't know the statistics, but I've talked with many friends, and read many blog posts by agents and editors. Pursuing publication is all about patience and persistence. And then more patience, and more persistence. 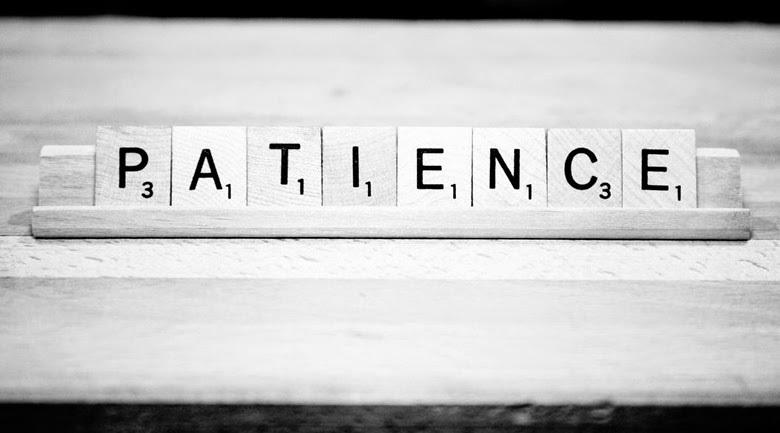 If you're not a patient person, you will do one of two things: 1) self-publish your brilliant novel, or 2) learn how to be patient. I have completed three full-length novels. I write historical romance and my stories are all about 100,000 words long. It takes me about three months to write the first draft, with about two-three weeks of intense research and plotting beforehand. After my first draft is finished, I take a couple of weeks to revise and polish it, then I send it off to my critique partners. They are very good at reading my manuscript and returning it within a couple weeks. After I go through and make the changes they've suggested, I send the story to my beta readers. This is a group of about ten ladies who are readers, and not necessarily writers. After I get their notes, I make more changes, and then have one more read-through before I send the manuscript to my agent. Along with the manuscript, I also send a book proposal and a five page synopsis. My agent will read the manuscript and give me feedback, which I will use to make further changes to the story. After all my editing is done, my agent then submits the manuscript to publishing houses. Here's where everything is out of my hands and the waiting really begins. There is a rhythm to the publishing world. There are seasons and times when publishing houses are actively acquiring new authors, and times when they are not. I trust my agent to send my manuscript at the right time. This might be right away, or it might be a month or two after I get it to her. If an editor becomes interested in my story, she will then need to take it through all the different stages at her publishing house before she could offer a contract. This will require more patience! I have a rough idea of what this would entail, though I've never been through the process. She would present the story to other editors to read, then the marketing team would see it. After the marketing team punches in some numbers, she would then bring the story to a publishing board meeting where she would have to "sell" the book idea to the board members who would then vote yes or no. If the vote is yes, she would write a contract, which would then be sent to my agent and the negotiation would take place. If all of this is done, the story would then go through numerous rounds of editing and the book would be on shelves about a year later. Where am I at right now? Currently, I am waiting to hear back from my beta readers on my third story. In the next couple of weeks I will send my manuscript to my agent and wait to hear her feedback. In the meantime, I am working on other writing opportunities my agent has presented. Your Turn! If you're not a writer, does this process surprise you? If you're a published author, what surprised you most about the process? If you're not published, where are you on the journey? Today I'm a guest on the Inspy Romance Blog! I'm talking about finding romance in the midst of parenting. You can find it here. Last week I read the Books & Such blog and one of the agents, Janet Kobobel Grant, wrote about a special book project she has been working on for a little over a year. The blog post is titled "Not Every Book Follows the Standard Path to Publication" and it examines one book in particular: The Waiting: The True Story of a Lost Child, a Lifetime of Longing, and a Miracle for a Mother Who Never Gave Up. As Janet described the unusual path this book took to publication, I became fascinated by the subject matter. When Janet gave a brief synopsis of the book, I immediately went to Amazon and purchased my own copy. I knew I wanted to get a hard copy, so I could pass it along to friends, because without even reading this story, I knew it would be one I'd want to share. And I was right. Not only do I want to share my copy, but I want to encourage every person I know to buy their own. The Waiting is a non-fiction book that reads like a fictional novel--but it's even more powerful, because it's completely true. The story chronicles the life of Minka DeYoung Disbrow who grew up on the plains of South Dakota, a shy and innocent farm girl who, at the age of sixteen, was accosted by a stranger at a picnic. For a young girl who still believed the stork delivered babies, she was shocked to discover she was pregnant. Her parents sent her to the House of Mercy to deliver the baby. Minka was to have the baby, and then come home and pretend as if nothing had happened. But, for Minka, no amount of pretending would allow her to forget her sweet baby, Betty Jane. She knew the baby went to a minister and his wife, but that was little solace for the years of pain. The book follows Minka's life through the Great Depression, WWII, getting married, giving birth to another daughter (eighteen years after the first), as well as a son. We see Minka as a hardworking wife, mother, landlady, daycare provider, and employee who traverses the country, and eventually ends up in California. We see her hardships and her joys, and our hearts are woven around this amazing, courageous woman. 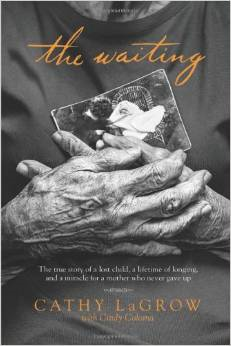 For almost thirty years, Minka wrote letters to the ladies at the House of Mercy, and to her sweet baby, Betty Jane. She sent money and gifts when she could, and never forgot their kindness to her. For seventy-seven years, Minka would mourn the loss of her baby girl. But on the day of her baby's seventy-seventh birthday, when Minka was ninety-four, she would ask God to allow her to see her daughter, at least once. The very same day, back in South Dakota, a judge opened Betty Jane's adoption record, at the request of a woman named Ruth Lee--once known as sweet baby, Betty Jane. The adoption file contained over a hundred letters from Minka. And Ruth soon discovered Minka was still alive. My heart broke for Minka, and when her dream is finally realized, after seventy-seven years of waiting, I wept. I've never cried like that while reading a book before. This is a powerful love story, not only between a mother and a daughter, but between God and His people. We see the hand of God woven into every little detail, and it's truly remarkable. Your Turn: Have you read The Waiting yet? I feel like I need to crack my knuckled and wiggle my fingers a bit to get my hands working on this blog post! It's been much too long since I've updated my blog. Here's a brief list of all the things that have kept me busy this past month. 1. Homeschooling. We're only a few weeks away from completing our first year of homeschooling our oldest daughter! This makes me very excited. I'm excited that we're almost done, but I'm also excited that the year went so well. We're already planning for next year! Schoolhouse, a fun computer-based curriculum. 2. Writing My Novel. I finished my third novel on April 13th, just shy of three months after I started it. I try to write during the winter when my husband is home (he has a landscaping business). During the summer we have a lot of activities planned and it wouldn't work for me to write with such intensity. My story already went through the hands of my writing critique partners, and is now with my beta readers. I hope to get it to my agent in the coming weeks. for my current novel set in 1927 when Lindbergh came home! photo was taken at the Morrison County Historical Society. 4. The Boys Turned Four! Speaking of the boys, we celebrated their fourth birthday on March 29th! That's a pretty huge milestone in our family. It was also the one year anniversary of signing with my agent. Lots of things to celebrate that day. 5. Judging for the Carol Awards. This year I was asked to be one of the judges for the prestigious Carol Award given during the ACFW Conference in September. The Carol Award is for published Christian fiction. It's been so much fun discovering new authors! I had never read any of their stories before (though I know who they are). I feel like I'm also a winner because I now have three new authors I want to follow. 6. Reading for Pleasure. I also have read a few books for pleasure! Pleasure, I tell you. :) Now that I write, I don't read nearly as much as I'd like--and probably not nearly as much as I should. One of the books I'm currently reading is the second novel by my friend Melissa Tagg. 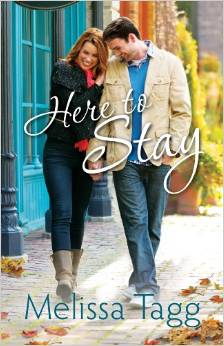 Her book is called Here to Stay and it's a wonderful story. Melissa captures the heart of a small town with perfection. Her hero is Blake Hunziker, who made his appearance in Melissa's first novel, Made to Last. 7. Spring Clean-Up. Now that the snow has finally melted, we've been busy in the yard and house! Cleaning up feels so good after a long winter. We've also had two fires down by the river already, and we're looking forward to many more. Our first family fire--which meant our first s'mores of the season. These are the activities that have kept the Meyer family busy this spring! I'm looking forward to spending more time on my blog this summer, and I'll be sure to update as my book moves through all the various stages of its journey. Your Turn! I'd love to hear what has kept you busy this spring. Any fun plans for the summer?